One of the best parts of Christmas is decorating the tree. Growing up, my mother was very meticulous about how the family tree would be trimmed and we soon learned the “proper” way to do this task; garland first, small ornaments at the top, larger near the bottom, the tinsel last. It kind of took the fun out of decorating the tree, but the end result was always beautiful. Even after all these years, my mother still trims her tree in the same order; however, in her old age she has grown to love the white twinkle lights. In fact, last year she managed to wrap over 1,000 of these tiny white orbs on her large artificial tree. It was so bright, I’m sure it could have been spotted from outer space or at least used to guide in lost aircraft. I’m not sure where Mother obtained her “rules to tree trimming,” but I do know there are many Christmas tree decoration ideas out there today. Let’s take a look at eight of these basic techniques and examples to help you get started. 1 1. Light it Up! 2 2. Wrap it Up! Although, my mother may have gone a bit on the extreme twinkle light side, Christmas lights do provide a beautiful glow to the tree. They create a magical atmosphere in a dimly lit or darkened room, allowing the ornaments to dance and shine by their light. When choosing Christmas lights for your tree, there is really no right or wrong ones. However, if your tree is tiny, it is probably best to avoid the large bulbed variety as these will most certainly weigh the tree over. 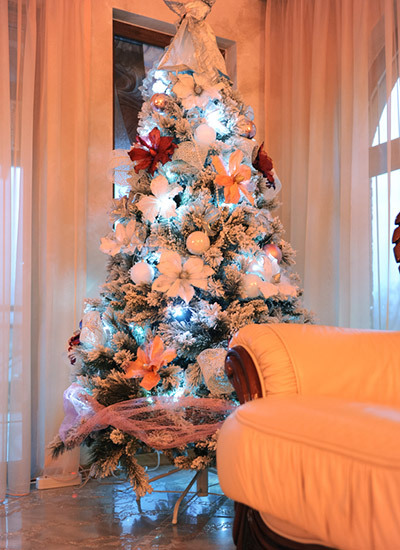 Christmas tree lights come in an assortment of styles and colors, so take your time and look through your options. Getting the perfect lights will set the tone for the rest of your decorating techniques. Growing up my mom would wrap our Christmas tree in the wide shiny garland that danced in the light, but today there are many other decorating ideas for your tree. If you are not a big tinsel fan, you can use beads to add a decorative flair. 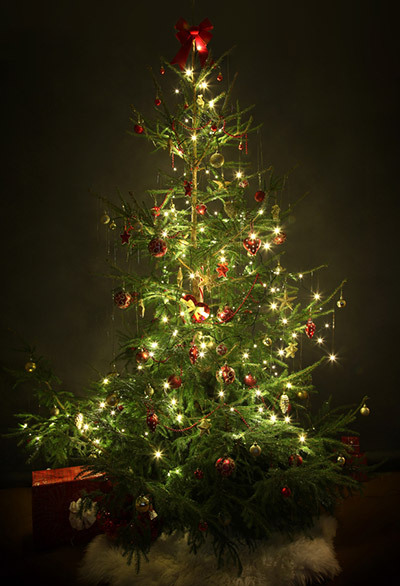 These work well for smaller trees or a household with pets (tinsel and garlands can be toxic to animals if ingested). Find the beads that fit your color scheme then drape the strings along the branches. Ribbon can also be applied in the same manner and will add a whole new look to your tree. This method has become very popular and is easily applied. Adding the decorations to the tree is perhaps the most fun part, at least for me it always is. This gives me a chance to go through my favorite decorations from past Christmases to see which ones are a must-have on the tree this year. I favor my heirloom ones, or treasured decorations that have sentimental value, like ones from a child or grandparent. These can be used in a place of honor on your tree and are sure to bring a smile to your face each time they catch your eye. If you are creative, looking for something unique or even just trying to save some money, DIY ornaments can be a inexpensive and beautiful way to decorate your tree this year. A lot of these ideas don’t required you to be Ms Stewart to pull off and use easy-to-find supplies. Make a special day out of it and get the kids involved. They will have a blast creating and seeing their works-of-art hanging on the tree. These also make great gifts for grandparents and relatives. If you go through home design magazines, you may notice Christmas trees decked out in a glamorous look that you would expect to find among these pages. However, this look isn’t hard to replicate. Large decorative silk flowers, ribbon and other fancy ornaments will add that chic look and make your tree a definite focal point in your home. 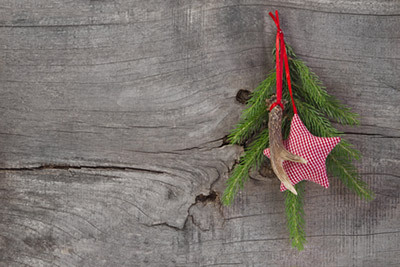 Christmas trees are, after all, a part of nature, so why not decorate the bows with some nature-inspired decorations? Large pinecones, raffia, leaves and artificial birds will all put your tree in the natural realm. For a stunning look, mix some simple, yet shiny baubles and wooden objects among the branches. To add some color here and there, find berry picks that can be easily tucked into and attached to the limbs. These are great to give a dash of color in amongst the greenery. Simply gorgeous! If you want to keep your planning simple, then find a theme and stick with it. This could be certain color(s) or involve a particular animal, sports theme or whatever you love. By narrowing down your options you can search out only the perfect theme-related decorations, bypassing any impulse items. Remember, matching the decor in the room you plan on putting the tree in can also be considered a theme. Using the accent colors or a full on palette can make your tree a handsome part of your home. Traditionally, people have put an angel or star as the last touch to their decorated tree. But this is not set in stone. Tree toppers can include anything that can be safely fastened to this narrow branch. Bows, flowers, even a small stuffed toy can be used as a tree topper. Follow your theme, use an heirloom or even a festive family photo that you want to give the place of honor to. There’s no right or wrong way to trim a tree (despite what my mother says). Take your time, look through examples and grab what you need to make your tree a beautiful addition to your Christmas decorating ideas.